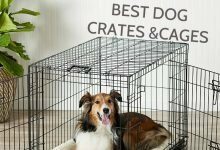 Getting a crate for your dog is a step in the right direction. Getting a cover for the crate is a step towards making the crate a home for the dog. As you must have noticed, it is not everywhere you can sleep that will feel like home. That is the way it is for dogs too. Crate covers create a sanctuary for your dog, a place it can call its own. It’s very own lair. Only in rare cases will a dog not prefer its wire cage to be covered. Veterinarians and dog trainers recommend that dog crates be covered for the benefit of the dog. What are dog crate covers and how do they work? That you are here reading this, it is safe to assume you know what a dog crate is. A dog crate cover is just like adding flesh to the bone. It is essentially a piece of fabric that you use to cover a wire cage that makes it feel enclosed to your dog. This makes the cage a lot more like a home than an entrapment. It gives your doggie a sense of ownership and privacy. Knowing it has a place, it is easy for your dog to relax. Dog crate covers are said to help a dog reduce stress and fall asleep faster as they block out light and most distractions. Furthermore, using a crate cover is one way you can have your dog’s kennel indoors. Leaving the wire crate exposed sometimes gets the metal columns cold and it becomes uncomfortable for your dog. But if you have it covered, depending on the type you choose, the crate will stay warm and your dog can go in there to get toasty. There are quite a few things to consider before settling for a dog crate cover. These things are essential to how effective and convenient the crate cover will be. If some things are not put into consideration, a crate cover might turn out to be utterly useless. When you decide that you need a crate cover, or rather your dog needs one, it is important that you consider how you intend to use it; what aim you want to achieve with the cover, etc. We will highlight some of the salient considerations below. Crate design – This is an important consideration because you don’t want to order for a crate cover that only has an opening on the side when your dog crate has a front opening. That will be a big blunder that will cost you some money. Some wire crates have double doors. So, if you want to maintain access to both entries, you will have to go for one of those covers that cater to crates with double doors. And be sure that the door openings are on the right sides. On another hand, there are crate covers that somewhat have a universal design in the sense that the sides are made into flaps that can roll up and down. This way, you will just need to roll up the side that has the door. These types are often the easiest to use. Sizing – To get a good fit, you need to measure your dog’s crate to get the right cover that will fit it properly. A good fit is important because if the cover is too big, asides how ugly it will look on the crate, the dog might get access to it from the inside and start a scratching practice. A snug fit gives the best outcome. Manufacturers of these covers often have a sizing chart and instructions that will help you get the best fitting cover for your dog’s crate. In most cases, these covers are available in different sizes, ranging from small to huge that are suitable as large dog crate covers. Insulation – Not all crate covers are the same. Some are more equal than others. Depending on how you use your crate and what you involve your dog in, insulation might be important to you. 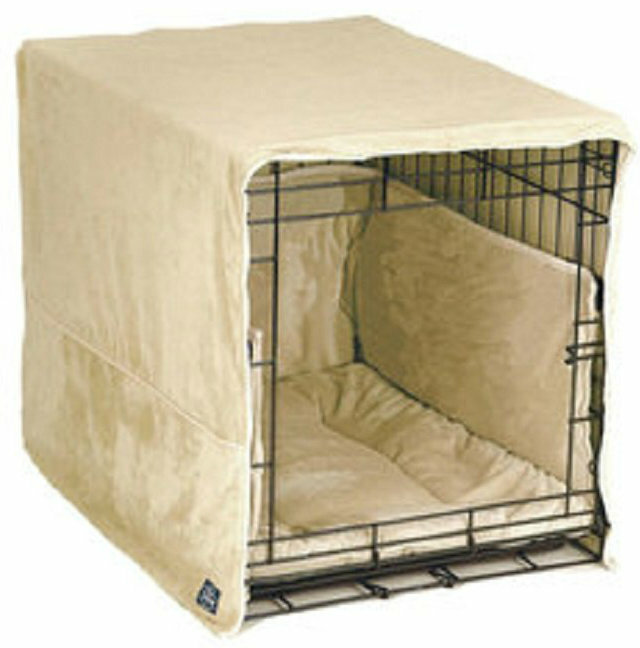 Insulation in dog crate covers is simply if the crate cover warms up the crate or not. If your dog is mainly the indoor type, you might not want to worry about insulation since you will be keeping the home warm for yourself anyway. But if you are the outdoor type and your dog is adventurous like you, you might want to go for insulated covers. There are times your doggie will have to be at the back of the truck in its cage. Insulated covers will keep the dog warm and protect it from the turbulent airflow. Insulated covers are important especially if the dog’s crate is mainly outdoors. Aesthetics – We don’t know if dogs really care about how pretty their cage cover is, but we, the owners do. Most times we don’t want the crate cover to stick out in the house like a sore thumb. It will do a lot of good, at least for our visual appeal, to get a pretty cover especially if the crate is indoors. There are many crate cover designs you can choose from. In fact, you most likely will be spoilt for choice. There are some brands that even offer a crate bed that matches the cover just for that luxurious doggie outlook. Some brands even offer crate cover sets which consist of the cover, side padding that provides cushioning against the crate, and a crate bed, all in matching the design. We like to call that the 5-star treatment. Come to think of it, your dog deserves it. Dog crate covers make your dog’s wire cage into a home. 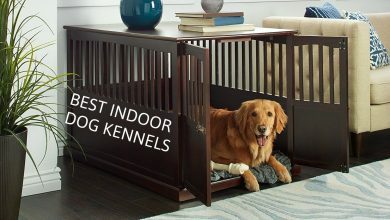 It transforms the cage into a sanctuary for your dog. A dog will more likely accept the cage if it is covered than if it is left bare. Dogs too understand a sense of ownership and need some privacy too which the crate cover undoubtedly gives them. Crate covers help reduce anxiety and stress in dogs. This is one of the main reasons vets and dog trainers recommend crate covers. It will help your dog stay calm more often due to reduced distractions. Since there will be less light getting into the cage, your dog can get to fall asleep faster. There are really no disadvantages to having a dog crate cover except for the extra work you might need to put in to have your dog accept it. And of course, some dogs will rip it apart if they are not properly trained or if the fabric used is too thin. Now that you have the information you need to confidently make a choice, read further to see our selection of dog crate covers you can trust. Mud River loves the outdoors so much it is specialized in manufacturing top quality products that make your outdoor experiences fun and convenient. This brand is aware that not only humans have fun being in the outdoors, it also makes products that allow your dog have a swell time too. It manufactures clothing, bags, dog care products, etc. so you won’t have much of a problem when next you go on an adventure outdoors. This is a brand that is trusted to deliver satisfaction with every product. If you have been looking for protection for your dog whenever you are on the road or go out into the woods with it, this is a great option to consider. The Mud River Dixie Kennel Cover will adequately protect your dog from the elements while touring outdoors. If you keep your dog in the back of the truck while exploring the woods, it is possible the weather condition is not favorable to it. In cases like these, having a dog crate cover is your best option. Your dog will be protected from the harsh weather and remain comfy in its cage. This dog kennel cover is made of two-layer 1200 D polyester. The 1200 D is a measure of the density of the fabric used. Generally speaking, the higher the number the denser and thicker the fabric used. This is an indication of how thick the fabric used for this crate cover is. This level of thickness shows water will not easily penetrate so that your doggie will stay dry in the cage even if it is raining outside. This dog cage cover is also fitted with Microlite 3 insulation which keeps the interior warm. It might be cold outside but your dog will stay toasty while inside as this technology raises the temperature 30 to 40 degrees. It has two sturdy carrier handles at the top for easy mobility. The window flaps are removable so there is sufficient ventilation in the cage. This won’t let your dog be too hot in there and if it is cold outside, the advanced insulator stabilizes the temperature. The window also has a tough rubber mesh covering it apart from the removable flap. There are four D rings strategically placed on the dog cage cover which allows you tie the cover down for extra security. This crate cover is finished off with an industrial grade rubber bottom that will endure years of use without giving in. 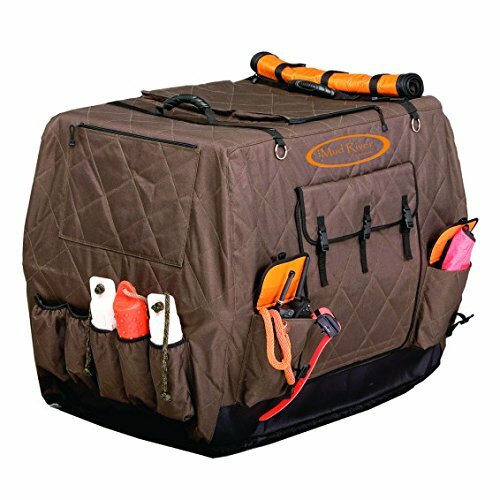 If you need to carry extra gear that won’t fit into your bag or you just need some extra supply for your dog, this insulated dog crate cover has pockets all over it that you can store stuff in. It is available in medium, large/standard, large/extended, and extra-large sizes. This way, it won’t be hard to find sizes that will fit your dog cage. Precision Pet is a company that’s enthusiastic about the welfare of pets and their owners. It creates quality and practical products that offer solutions to the challenges of pets and that of their owners. It doesn’t just make these products, it focuses on how it is being made. This is a pet company that also wants to keep the environment safe. For several years, it has been creating products that pets cannot help but love and their owners are just always happy with the value they get. If you need a cover for a dog crate that will snugly fit over the crate and is strong enough to be durable, the Precision Pet Crate Cover is the product for you. Not always will your dog be exposed in its wire crate like it is on display at some exhibition. It could be that the sun is much, it is getting cold, or you just want to give your dog some privacy. Whichever your reason is, this product is a choice option. It has a universal design which means it will fit over most crates that are 24 inches in size. If you want to turn your dog’s wire cage into a kennel in an instant, here you go. You can thank us later. The material used is a heavy-duty fabric which is put together with fortified double stitching. You won’t even have to bother about this cover coming apart or tearing up. 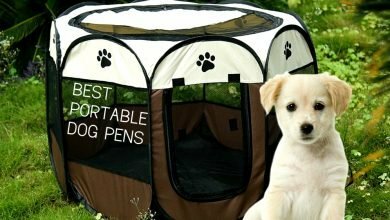 The only coming apart that can happen with this dog cage cover is through the heavy-duty zippers that lets you open and close it. The material used is also water resistant which means that this cover can be used both indoors and outdoors. Now you have some protection for your dog next time you take it out camping or fishing. This is a good option too if your dog has to be in the cage in the back of the truck while you drive. Ventilation and visibility is not a problem with this cover. Some sides of the cover can be rolled up to create an opening for a door and as a window. This allows air to flow in and out of the cage and the dog can easily see outside. This cover is easy to clean as you can just throw it in the washing machine. If you are getting concerned that your dog cage is way bigger than the 24-inch size we are featuring, do not fret. This cover comes in different sizes: extra small, medium, medium/large, large, and even jumbo. So, feel free to make your choice. This cover is also available in navy and tan colors. You might want to consult your dog for preference. Petsfit is a company committed to all things pet. When it comes to the welfare of pets, this brand is highly experienced as it has been doing this for years. As a company of pet owners itself, it knows just what pets and their owners are going through which is why its products are so direct and practical. A company that shares your experience and knows what you are going through is the type you should give your money to. 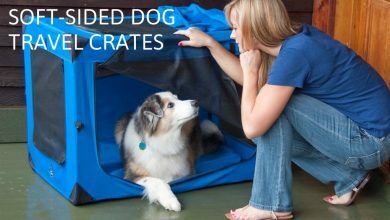 Made with tough, high-density polyester with a 600 denier count, this Petsfit Polyester Crate Cover is the real deal. The material the cover is made of is great protection on its own. Now your dog will not have to endure the harsh weather because it has to be in its cage. Your furry canine will surely be happy with you turning its wire cage into a kennel with this cover. All the materials used for this cover are safe for your dog. We were not kidding when we said earlier that the 600D oxford cloth used for this cage cover is protection on its own. It is windproof and waterproof so when your dog has to be in its cage at the back of the truck, you won’t have to bother about its welfare. Even if it is raining or windy, your doggie wouldn’t be bothered as you have provided it with some reliable protection. This cover uses metal zippers with nylon teeth which makes it way more durable than the competition. This cover has roll-up flaps at the door for easy entrance and exit. It also has a roll-up window on the side which is lined with a hexagonal mesh. These openings allow air in and out of the cage for proper ventilation. This also provides good visibility for your dog. The cover makes the cage feel like indoors since it creates a dark ambiance. This will even help your dog sleep faster due to the reduced light and distractions. This crate is available in 30, 36, and 42 inches. The best way to get a perfect fit is to first measure your dog cage and then compare it to the manufacturer’s sizing chart. The manufacturer offers a 30-day guarantee on defects on this product. Only reliable companies show so much confidence in their products, like this one. Molly Mutt is a brand dedicated to dogs and provides for their needs in terms of comfort and style. It specializes in manufacturing kits and items that provide comfortable solutions for you and your dogs. Whether at home or on the go, Molly Mutt has got something for you. Its products are cotton made, washable, and most importantly, sustainable. If you love your dog, you would love this brand. The Molly Mutt Crate Cover is a nice way to give your dog some privacy. 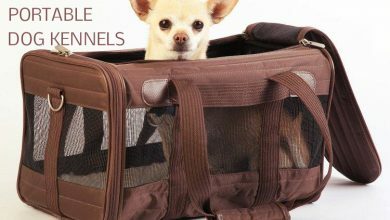 It covers your dog’s wire cage from top to bottom. It is made of strong and durable fabric that is well put together with strong stitching and lining. The fabric is washable so you can easily clean it whenever you feel it is dirty. That way your cage cover can always look spick and span. You won’t have to worry about this cover shrinking after it is washed as it has already been preshrunk. So, there won’t be any further shrinking. This dog crate cover is designed such that it has flaps on two sides that just roll down on the sides of the crate. This makes it quite easy to wear on the cage without hassles. Just lay it on the top and let it align with all sides and leave the two sides to roll down. These flaps are held down on the sides with snaps and whenever you roll them up, they are held up with snaps too. This makes it one of the easiest-to-use dog kennels covers around. If you don’t just want any cover for your wire cage but you want one that is a bit more aesthetic because your doggy is stylish like that, this product is what you have been looking for. It comes in elegant patterns with different colors. You have 17 of them to choose from; you can rest assured your canine buddy will be spoilt for choice. This is the kind of treat your dog is up for when you deal with Molly Mutt. Its dog crate covers are also available in different sizes, small, medium, big, and huge sizes. So no matter the size of your dog cage, you will find a cover for it here. We were not kidding when we said earlier that Molly Mutt is dedicated to dogs. Pet Dreams has been around for a long time making dog beds and beddings. As you know what holds with long-standing brands that have been accumulating experience, you can certainly rely on them. Pet Dreams is run by a dog owner who started the company out of a need to provide comfort for her dog. This shows the brand knows, first hand, the need for dogs and their owners. This is why this company has been manufacturing quality products that offer superior comfort for dogs. It is not only humans that dream of luxury, dogs do too and this brand somehow found out. It has taken it upon itself to make that dog dream come true, just as its name implies. Part of its long line of dog luxury products is the Pet Dreams Crate Cover we are featuring. This product is a simple cover for dog crates with an open front end. As you know, there is a measure of style in simplicity. 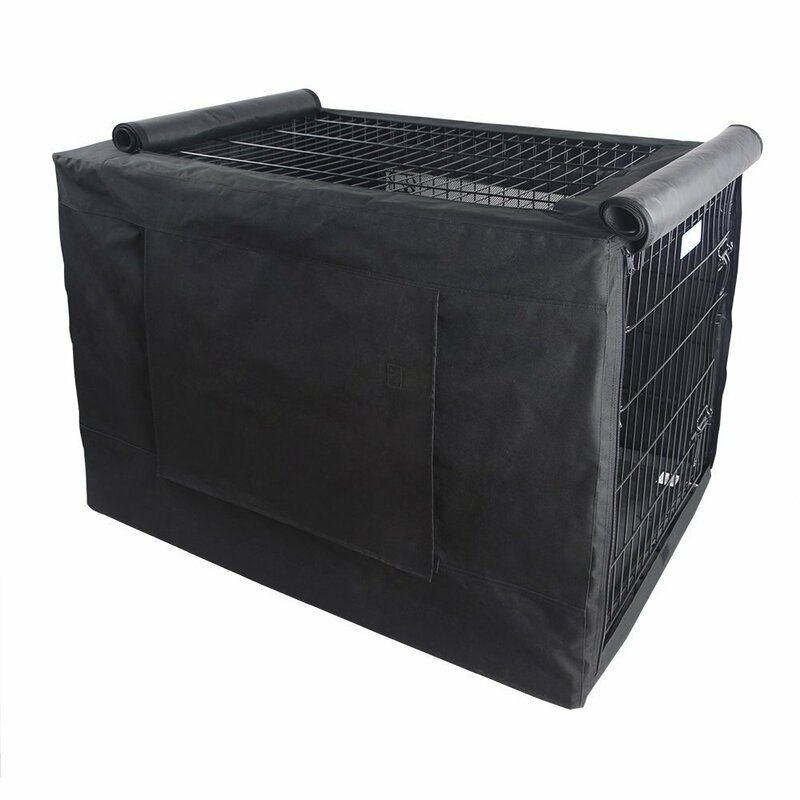 The open end of this crate cover provides adequate ventilation and visibility for your dog. 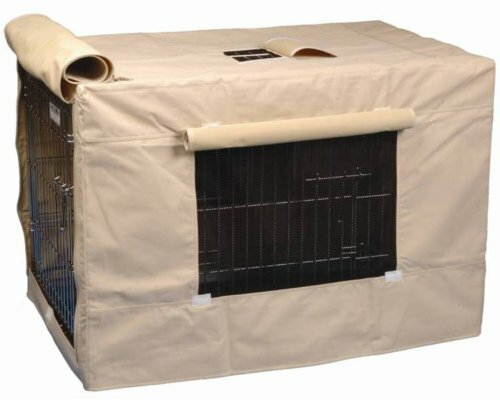 This is one crate cover that transforms a wire cage into a standard kennel right out of the bag. It instantly darkens the cage making it feel more like indoors for the dog. The dark ambiance makes it easy for your dog to fall asleep quicker and for longer. This is why most dogs take to their cage more if it has a cover. A dog cage with a cover gives a sense of security and privacy, of course. The crate is designed such a way that it will snugly fit most dog crates by the most popular manufacturers such as Precision, Four Paws, Midwest, etc. so if your wire cage is from any of those brands, this cage cover will most likely work for it. Do note, however, that this particular one we are featuring is meant for cages that are 42 inches. This dog crate cover is easy to wash and it dries quickly so your dog will not stay exposed for long because you had to wash its crate cover. If your mind is not yet made up about getting a cover for your dog’s wire crate, note that dog trainers and veterinarians recommend that you get one. This is so because it has been observed that covering the dog crate can significantly reduce barking and stress in your dog. We are sure you want your dog to stay healthy all the time. You also wouldn’t want it to be restless and barking all the time. Petmate, as the name implies is a brand that is committed to your pet. From beddings to kennels, pet toys, pet exercise items, etc; this brand is focused on delivering quality with every product which is why it is so loved by both pets and their owners. It caters to all areas that have to do with the welfare of your pet making sure they grow strong, healthy, and happy. This is a brand you want to rely on to take good care of your pets. 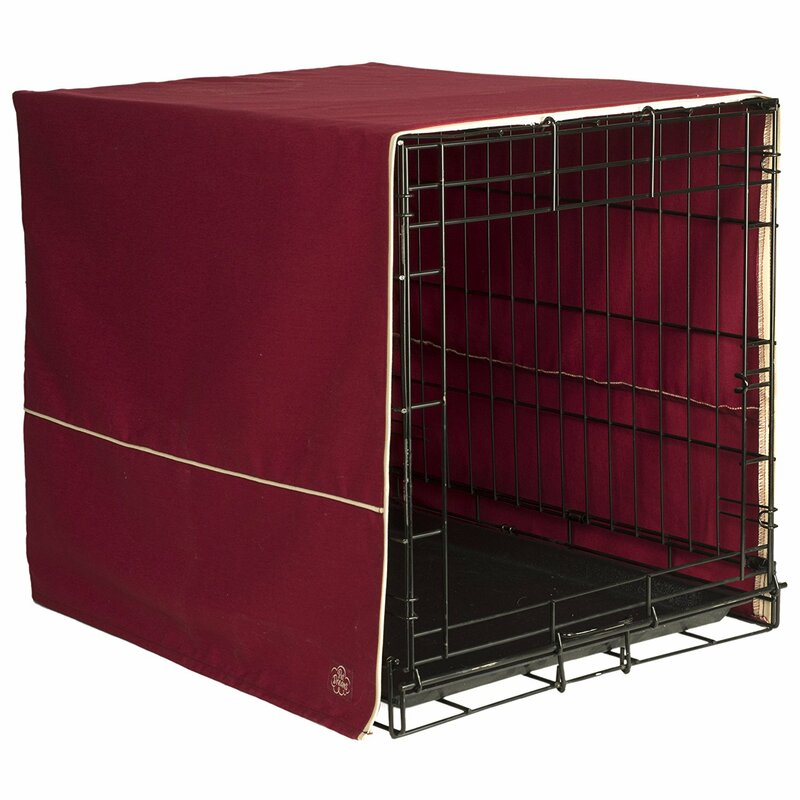 The Precision Pet Crate Cover turns your dog’s wire crate into a cozy alcove for your dog. If you need something to snugly hug your dog crate, here it is. The dog will feel the difference and instantly love it. Vets and dog trainers have suggested that crate covers help to reduce stress and barking in dogs. So, you might want to go for this one and offer your dog some earned luxury at the same time. The fabric used is quite formidable and will last a long time. It covers both sides and the back leaving the front part open for ventilation and the dog’s view. The cover darkens the crate a little bit which gives the dog a feeling of being indoors and secured. The fabric used has a faux suede texture on the outside featuring an Ikat pattern that gives off a beautiful visual appeal. On the other side, the texture is the cozy feel of fleece which provides some level of warmth in the cage. 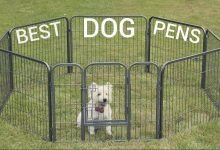 If the space between the column of the wire cage is small enough, you won’t have to bother about your dog reaching out and ending up tampering with the cover. Another great thing about this crate cover is that you can switch between the sides of the fabric. You can decide to have the faux suede on the outside and after washing, you can decide to let it be on the inside. Talking about washing, this cover is easy to wash and will dry quickly. But be sure to follow the manufacturer’s washing instructions so you can help it last for long. 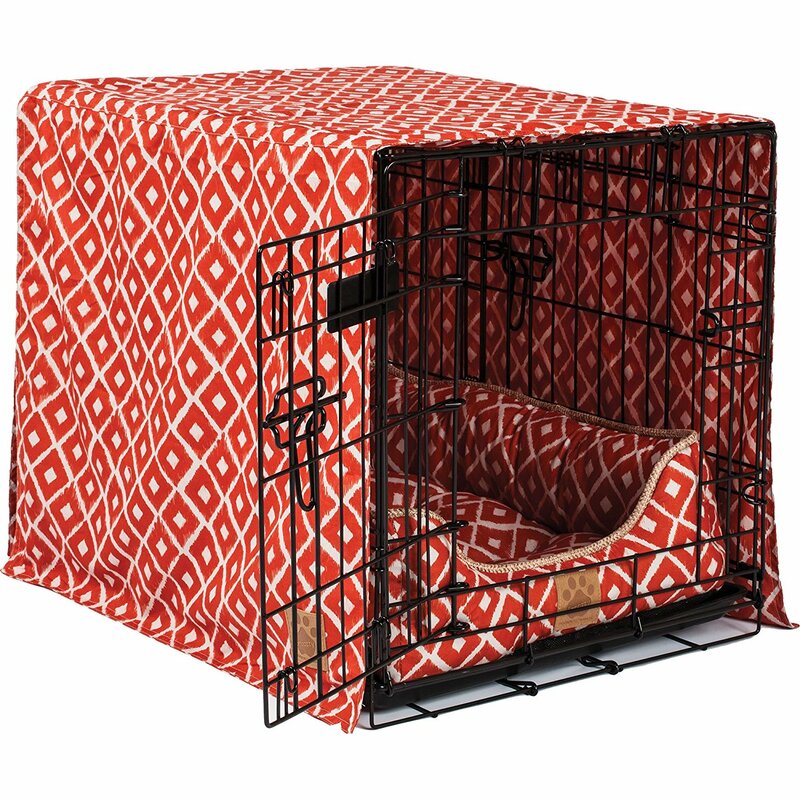 This reversible dog crate cover is available in orange and navy colors. You can even make it look a lot better by getting a cage bed that matches the color and pattern. When it comes to dog care paraphernalia, Pet Dreams knows its onions and has years of experience getting it right. No exaggeration, this brand has been hitting the right chord for so long it does not seem to know how to get it wrong. This is a brand that knows what dogs need, even before the dogs themselves know. If you think we are kidding, here is a gist: this is one of the first brands that started creating crate beddings that dogs have come to love. That you don’t have one thing from this brand for your dog is probably why it has been eyeing you lately. A dog is man’s best friend, so you won’t be doing too much if you want to give it a 5-star treatment. If you consider the loyalty of your dog all these years, not to even talk about its cuteness, you would agree that it deserves it. If you feel this is the time to pay your furry canine back for all its love, the Pet Dreams 3 Piece Crate Bedding Set is one way you can do that. This is the all-luxury pass for crate covers. It consists of a fluffy crate bed, crate cover, and foam bumper for the sides. The crate bed and bumper are all foam with a luxurious microfiber finish. Your doggy will love the feel so much it wouldn’t want to damage it. 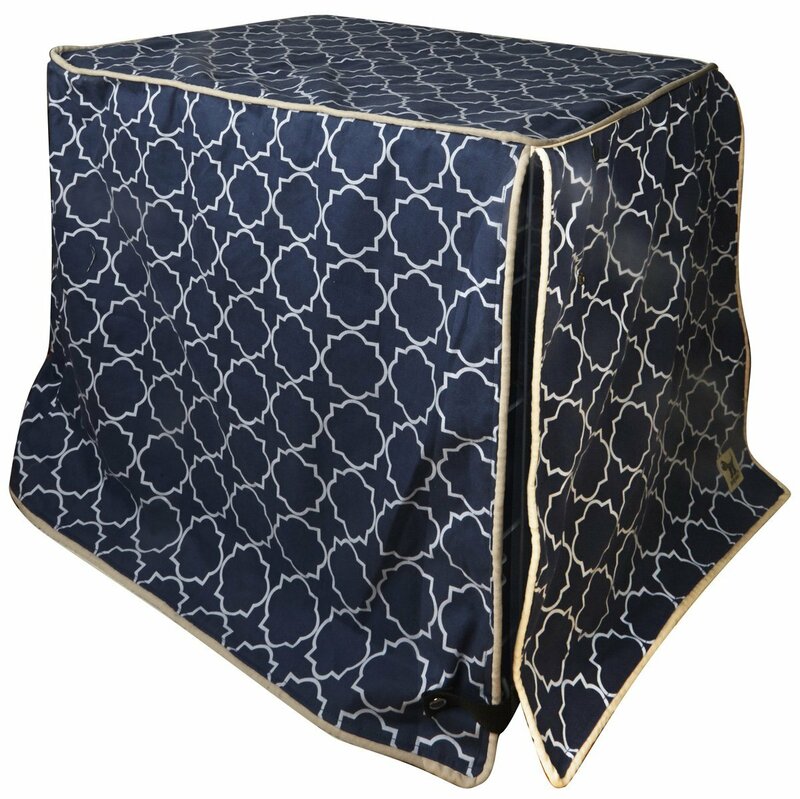 This is the kind of crate cover that turns your dog’s wire crate into a fancy room in some 5-star dog hotel. Instead of your dog lying on the hard crate floor, the crate bed offers some plush landing that will keep the dog-loving its crate some more. The side padding to gives your dog some soft padding to rest on without feeling the pressure of resting against the metal bars directly. The crate pad is reversible which means you can switch between both sides of the bed for the dog to lay on. The bed is easy to clean since it is designed to be a wash-and-dry so it will stay clean all the time. You can also easily remove it from the cage and use it for your dog anywhere else. That way, it will get familiar with it and want to use it all the time. This dog crate set will last you a long time as it was designed to endure repeated washing. Midwest Home for Pets is one of the top brands that cater to all things pets. It has been at it for many years, so there is no doubt about it knowing what it is doing. It has consistently designed and offered products that offer practical solutions for pets, along with their welfare. Pets and pet owners have come to trust this brand as a go-to for supplies as they have become aware that it has their best interest at heart. Getting a dog crate is one thing, making it a home for the dog is another. Having a dog crate cover is one big leap towards making a dog crate a place called home. Just as humans see their home as a place they can put their feet up and relax so is the effect a covered wire cage has on a dog. It gives it a place of sanctuary where it too can feel safe, put its paws down and relax. This is the exact effect you will get from using the Midwest Wire Dog Crate Covers. This crate cover is made of durable polyester that will stand the test of time with indoor and outdoor use. It is water-repellent so splashes of water will not get to your dog while inside. This cover is designed such that it is compatible with most dog crate designs. Whether your dog’s crate is a front door or on the side, this crate will still work well with it. This is so because the sides are flaps so whichever side the door is, it is just a matter of rolling up that side. This design also makes the cover easy to wear on the dog crate. Just lay the right side on top of the crate and let the flaps drop down. Whether the flaps are up or down, the hook and loop tabs securely hold the flaps in place. 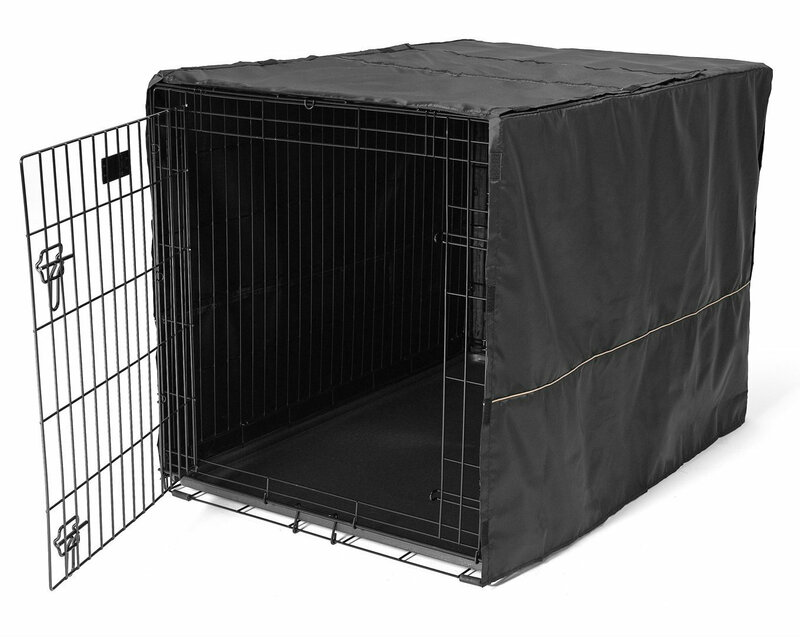 This cover darkens the crate giving it a den-like atmosphere where your dog can have its privacy. The darkened alcove also helps the dog relax and release stress which is why vets and dog trainers recommend covers for dog crates. This particular crate cover is machine washable and dries quickly due to the nature of the fabric. So washing the cover won’t keep your dog’s abode exposed for long. This crate cover is available in different sizes so you have to be sure of your dog crate size before placing an order. That way, you can get a perfect fit for your crate. You have now come to the end of this review. It is our hope that you have learned about dog crate covers and how to choose a suitable one in the buying guide. We also took you through our selection of top dog crate covers, detailing what is good for them. Now, the ball is in your court. With all the information you now have, you can now decide which of them is best for you and your dog.